The night of her first communion, when Ursula came into the salon where her godfather was sitting alone, she put the backgammon board before him. "Whose throw shall it be?" she asked. 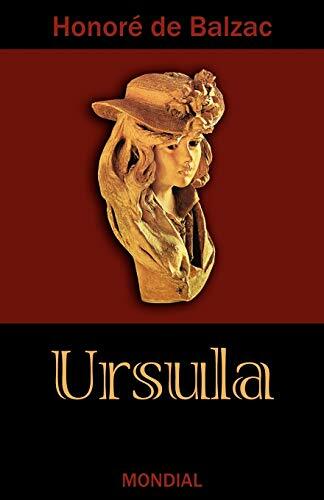 "Ursula," said the doctor, "isn't it a sin to make fun of your godfather the day of your first communion?" "I am not making fun of you," she said, sitting down. "I want to give you some pleasure--you who are always on the look-out for mine. When Monsieur Chaperon was pleased with me he gave me a lesson in backgammon, and he has given me so many that now I am quite strong enough to beat you--you shall not deprive yourself any longer for me. I have conquered all difficulties, and now I like the noise of the game." Ursula won. The abbé had slipped in to enjoy his triumph. The next day Minoret, who had always refused to let Ursula learn music, sent to Paris for a piano, made arrangements at Fontainebleau for a teacher, and submitted to the annoyance that her constant practicing was to him. One of poor Jordy's predictions was fulfilled -- the girl became an excellent musician. The doctor, proud of her talent, had lately sent to Paris for a master, an old German named Schmucke, a distinguished professor who came once a week; the doctor willingly paying for an art which he had formerly declared to be useless in a household. Unbelievers do not like music--a celestial language, developed by Catholicism, which has taken the names of the seven notes from one of the church hymns; every note being the first syllable of the seven first lines in the hymn to Saint John. The impression produced on the doctor by Ursula's first communion though keen was not lasting. The calm and sweet contentment which prayer and the exercise of resolution produced in that young soul had not their due influence upon him. Having no reasons for remorse or repentance himself, he enjoyed a serene peace. Doing his own benefactions without hope of a celestial harvest, he thought himself on a nobler plane than religious men whom he always accused for making, as he called it, terms with God. Count me now among the faithful admirers of Honoré de Balzac, like the young Antoine Doinel in Les 400 coups (played by Jean-Pierre Léaud, but really a stand-in for François Truffaut), who reaches the end of Balzac's La Recherche de l'absolu, lights a candle in his homemade shrine to the author, and nearly burns down his family's apartment. I have completed the section of La Comédie Humaine devoted to "Scènes de la vie privée" (Scenes of private life), having devoured all of its stories and novels. Although I did not post a quote from it, I especially enjoyed Mémoires de deux Jeunes Mariées (Memoirs of Two Brides), an epistolary novel that follows two young women who leave a convent school to return to the world of marriage and family. The novel excerpted here is the first part of "Scènes de la vie de province" (Scenes from provincial life), and it is a vicious portrait of the pettiness of small-town people, in this case in the village of Nemours, in the Seine-et-Marne. One of the stranger plot details is the conversion of Ursule's godfather and protector, Dr. Minoret. Balzac, who was a staunch Catholic apologist, makes the old atheist a most sympathetic character, who is ultimately won over to belief by the experience of seeing a demonstration of supernatural awareness by a woman under a Swedenborgian's hypnosis. It is a truly odd thing for Balzac to treat seriously, and related phenomena occur throughout the book. I much prefer the doctor's scientific atheism, opposed to his ward studying music because of its Catholic associations. I would rather believe that it was music that converted him.